Oppo equipped the Find 5 with a 13MP camera that captures stills at up to 4308 x 3120 resolution. It uses a 1/3.06" CMOS sensor and pretty bright F/2.2 aperture. There's dual-LED flash to help out with low-light shots and a 1.9MP front-facing camera. The interface has been polished up a bit though nothing too fancy - two control sidebars in the viewfinder, the right one holding the still/video toggle, virtual shutter and gallery shortcut, while the left one is for settings. The 4.1 JB way to access recently snapped photos - a left swipe - is available, but you can't swipe up to delete photos. The controls on the left include a back/front cam switch, flash, HDR mode and extended settings. The extra settings don't offer much - resolution, self-timer, sound, face detection, geotagging and gridline is all you get. There's touch focus available and an always-on burst shot mode, so you can't long press the virtual shutter key to focus, but Oppo is promising 20fps burst shot mode. The volume buttons can act as a shutter key each, digital zoom is handled by a pinch gesture. In terms of image quality, the Oppo Find 5 does decently, though we wouldn't pick it over the best 8MP shooters. Resolution is good, if unspectacular, but images are peppered with color noise, which brings down the captured detail. 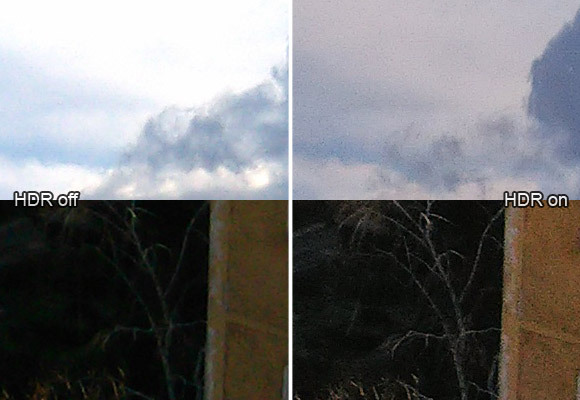 Colors are accurate, but the dynamic range is not very wide (resulting in blown out highlights). Purple fringing can be seen near high-contrast edges. HDR mode is available, but it's not the best implementation we have seen. It doesn't capture more detail in the shadows and the advantage in the highlights is not great. However Oppo chose to use a very flat tonal curve, which results in low contrast, despite the modest gain in dynamic range. Also, the noise transforms into oversharpened monochromatic noise, making it all the more visible. Colors get the over-done HDR look and a yellowish tint. Overall, we'd recommend against using HDR as it feels like a software tweak, rather than the result of actually combining two images. You can view the full resolution samples here. The Oppo Find 5 is one of the few 13MP shooters in our Photo Compare Tool, but the LG Optimus G and Sony Xperia T are there to meet it. Also, try it out against some 8MP shooters by using the downscale feature. The Oppo did pretty well on the ISO chart, but it really prefers that there's a lot of light. Also, there is a slight tint near the center of the image. The camcorder interface is virtually identical to the still camera UI. The only difference is that the HDR mode shortcut is replaced by a resolution and mode shortcut, while the HDR mode shortcut goes in the extra settings menu. There's no touch focus or face detection, though continuous autofocus works. 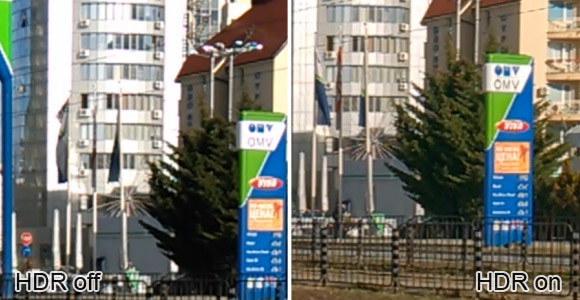 There's 4x digital zoom for all resolutions. Videos are shot at up to 1080p and 30fps and stored in MP4 files with 12Mbps bitrate. Sound is recorded in stereo at 96Kbps and 48kHz. Both bitrates are on the low side of quality video capture. The results aren't very impressive - videos look soft after the compression takes out most of the fine detail and there's still the problem of blown out highlights. There's some purple fringing noticeable near high-contrast edges. On the up side, videos are smooth, colors are accurate and the continuous autofocus isn't too aggressive (it actually comes across as a bit too sluggish). You can download an untouched video here - 1080p@30fps (0:08s, 12MB). HDR mode is also available for videos (Anything to say, Sony Xperia Z?) and it still messes up the colors, but is actually a lot better than the still image HDR. It keeps the contrast and actually manages to bring in detail in both the highlights and the shadows. There's no resulting extra noise either. So, we would consider using HDR in video mode, we just wish there was a way to tone down the color saturation in the camera. The Oppo Find 5 has more video-related tricks up its sleeve - VGA recording @ 120fps comes in two flavors. The first plays back videos at 30fps, a 4x slow-mo mode, while the other leaves the video at the full 120fps, a High Framerate mode (HFR), think The Hobbit. Of course, The Hobbit was played at only 48fps and even Avatar 2 will be shot at just 60fps, so 120fps is a bit over the top. Especially when you consider that the HDMI standard tops out at 60fps and so do most monitors and mobile screens (DVI does support 120fps). YouTube wouldn't even work with 60fps. You wouldn't need HDMI anyway, the practical resolution of the videos is well below even VGA. Here's a slow-mo video sample. You can also download this 120fps HFR video (0:06s, 7.9MB). 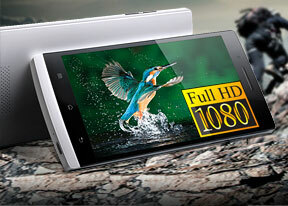 Unlike the 13MP resolution of the still camera, the 1080p of the video camera is a pretty popular format. Here's how the Oppo Find 5 does against the competition.